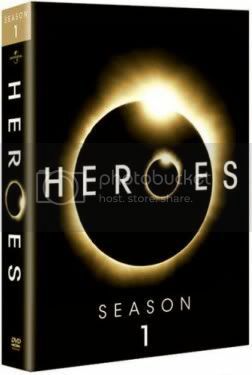 Geek Steal: Today Only - Heroes Season 1 for 50% off! The Gold Box Deal of the Day on Amazon has the Heroes Season 1 DVD set on sale for $29.99, 50% off the regular price. This set offers a ton of extras, including cast commentaries, the 73-minute uncut pilot episode (never shown on TV), over 50 deleted scenes, and making ofs. It’s all icing on the delicious red velvet cake of this brilliant season of geek television. You can also get the brand-new-to-DVD Heroes Season 2 set for $24.99 (50% off) . Pick it up if you absolutely must fill in the continuity gaps before Season 3 premieres on September 22. But I’d recommend putting that $25 toward shock therapy treatments to erase the memory of this less-than-stellar season’s existence.